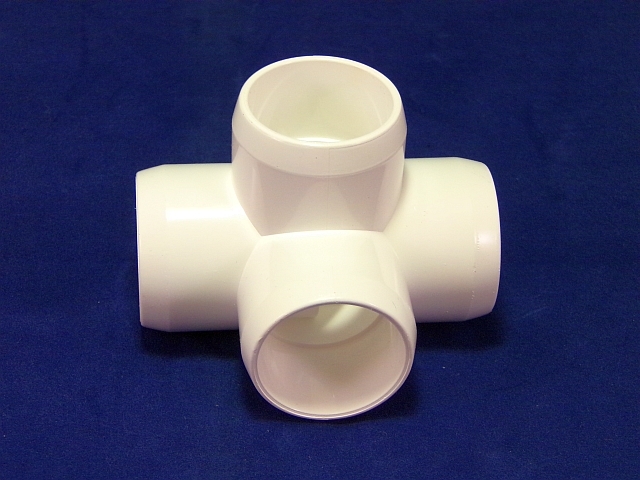 This PVC 4-Way L fitting allows you to insert an upright and cross post in your PVC project for additional bracing or stability. Great for building walls, boxes, cages and any other sort of enclosure. All 4 sockets are a press fit. Water cannot pass through this fitting. 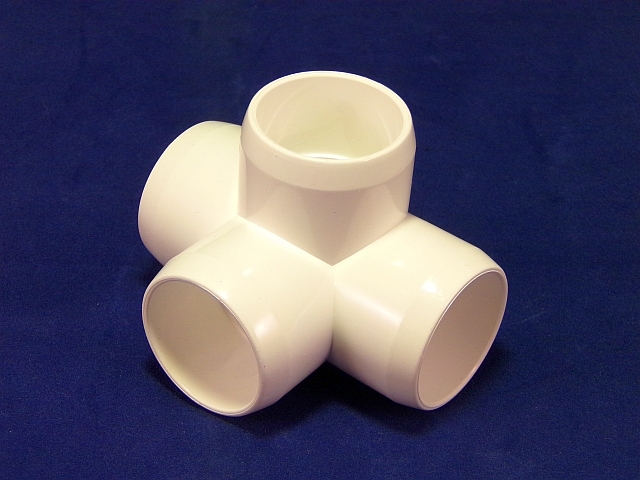 Fitting is made of furniture grade PVC and works with standard 1 inch Schedule 40 PVC pipe.